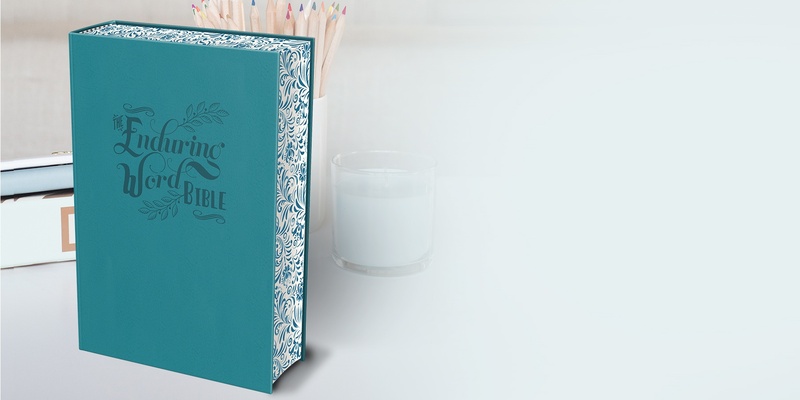 A journaling Bible for creative doodlers, diligent notetakers, and everyone in between. A creative Bible for all. 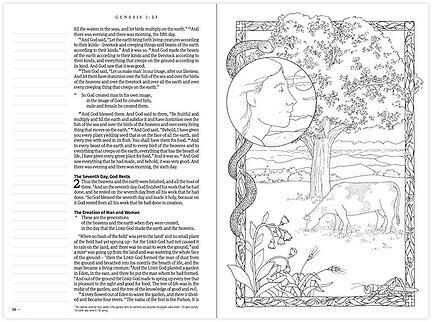 The Enduring Word Bible features preprinted Bible verse illustrations in the margins that are there for you to color and meditate on. 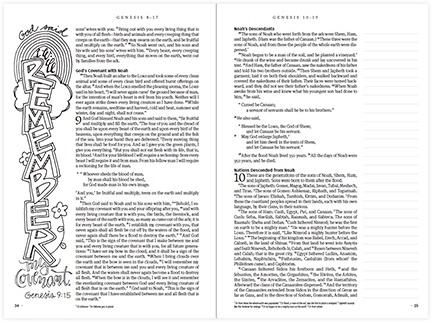 The two-inch wide-ruled margins give you space to add your own doodles, notes, or prayers. Andrea Kilpatrick is a painter and illustrator living in Houston, Texas. She attended Concordia University Chicago, where she earned degrees in studio art and art education and received her Lutheran Teacher Certificate. She currently teaches elementary and middle school art. In her spare time, she sells custom illustrations and enjoys reading, Bible journaling, and traveling. Jamie Truwe is a small-business owner, part-time art teacher, and full-time mom to 5 children. She attended Concordia University Wisconsin and has a theology degree with minors in youth ministry and art. In her spare time, she sells custom paintings and hand-lettered Scripture art, and she enjoys coloring in her Bible, reading, and traipsing around the states with her family. Pat Maier is a pastor’s wife and former Lutheran educator who lives with her husband in Brighton, Michigan. She is a graduate of Concordia (Junior) College, Ann Arbor and Concordia, River Forest (Chicago) with a degree in Elementary Education and minor in Art. Pat enjoys writing, drawing, and imagining to inspire others in their walk with Jesus. She is currently involved in planning and presenting at retreats and women’s events in the Michigan District, as well as teaching about visual faith. She finds great joy in nature, gardening, and spending time with family. Jeff Carnehl has taught art at Walther Lutheran High School for 17 years. 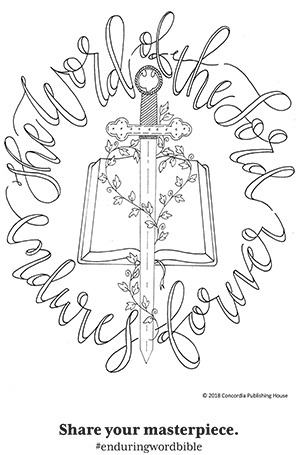 His illustration work with CPH has included other books and My Devotions. Prior to teaching, he worked as a graphic designer and art director for two Christian publishers. A graduate of Concordia University Chicago and the American Academy of Art, he is married to a Lutheran elementary teacher and the father of three grown sons. Besides illustrating, Jeff loves spending time with his growing family and gardening.